The wonderfully colourful story of Elmer the patchwork elephant has been a nursery favourite since this first book was published in 1989. A modern classic, the story of Elmer is known to millions, and continues to be one of the biggest selling children's books ever, having sold over 10 million copies around the world. The subtle message is that it is OK to be different, and combined with the vibrant colour and cheeky humour of the main character, it’s an essential bedtime story. This is a special 30th birthday hardback edition. Head to over our KidsZone for more Elmer fun! Elmer the Elephant celebrates Elmer Day on 25 May 2019! 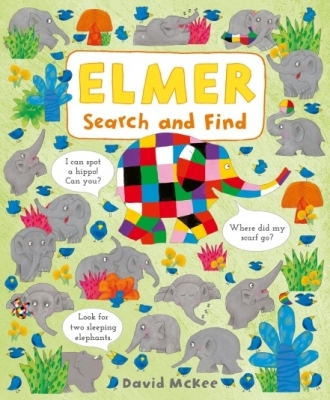 Visit our Elmer the Elephant feature to find out more about the Elmer books and ways to celebrate Elmer's 30th Birthday! Elmer is different. Elmer is patchwork. The grey elephants all love him, but he soon starts to wonder what it would be like to be just the same as them... Full of colour, wisdom and pathos, little readers will love this classic tale at bedtime. Collect this special 30th birthday hardback edition of David McKee's first book about Elmer, that turned this adorable patchwork elephant into a nursery favourite. With this collector's edition comes a very special Elmer print inside! Deservedly a modern classic, with over ten million copies of his books sold worldwide, Elmer's subtle message, that it is ok to be different, resonates with children across the world. 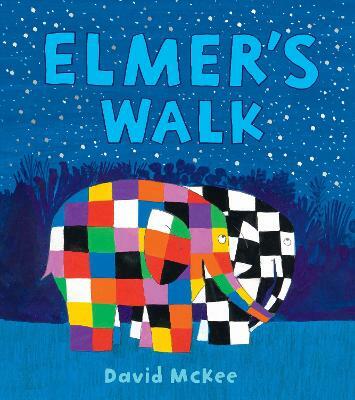 Elmer the colourful patchwork elephant has been a nursery favourite since this first book was published in 1989. Happy 30th Birthday, Elmer! You can download a Elmer’s Parade Pack here which includes craft activities, games, colouring sheets, bunting and lots of ideas for holding your own Elmer party. Over 10 million Elmer books have been sold worldwide, and 2019 will mark the 30th anniversary.